Imported directly from a magical forest, and directly from the sacred nostrils of a mythical unicorn, here is the latest weapon in the battle of the daily grind. 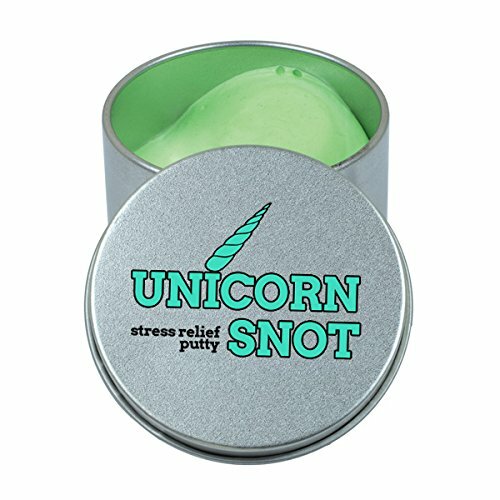 Unicorn Snot Stress Relief Putty. This gelatinous stress reliever will disperse your woes away, one magical stretch at a time.